1913 to 1954 a co founder of Magum Photos. Photojournalist who covered five different wars: the Spanish Civil War, the Second Sino-Japanese War, World War II across Europe, the 1948 Arab-Israeli War, and the First Indochina War. What I have seen in Robert Capa images of war tends to be posed when individual or small group shots and distant while showing the greater story. Perhaps this distance shows how Capa wanted to be removed from what he was photographing. However Compared to when I look at Bischof images I feel less emotionally involved. 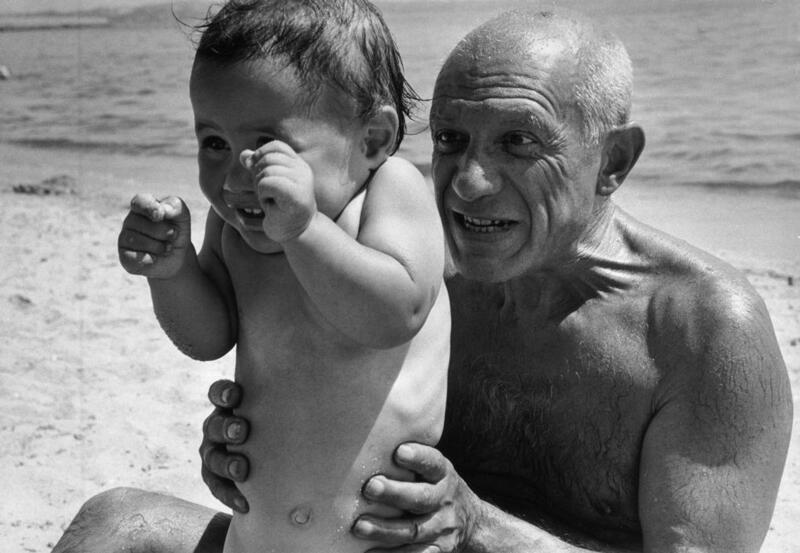 There is one shot below which I loved of Picasso and Son a moment of pure joy of both father and son caught on camera.